Computer, Laptop & Apple repairs in Darlington - See what Aardvark can do for you! Here at Aardvark, we are dedicated to getting it fixed for you! 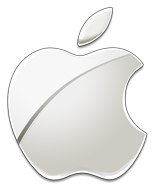 We have a range of services available from apple repairs to microsoft windows issues all at amazingly low prices! You can have your iPhone screen fixed or your laptop running windows again in no time at all! You can find out a little more about the services we offer below or, if your interested in picking our brains, feel free to contact us either by phone or using our web form. We will do our utmost to help you out! We offer a range of repair services, from physical damage, to virus and spyware removal - all for less than you might think. Here are a couple of examples. Prices start from just £10 and we will give you a quote before we start so you don't get any nasty surprises. Call today for a free estimate and we will get you up and running again! *prices may be higher for business customers as the 2 hour rate cap does not apply if a callout is required on business premesis. Please ask for more details. Desktop computers are another of our specialist repair areas. We can repair your PC on a componant level for unbeatable prices on hardware repairs! Also we can deal with any software issues or networking problems you might have. 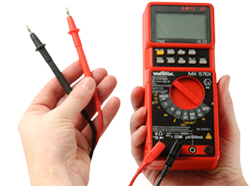 So if it wont switch on at all, or your simply finding things a bit slow, we can help! If your interested in finding out more about what kind of problems we can deal with get in touch with aardvark and just ask! We don't just fix windows computers you know! We can solve all your apple device issues too. From a cracked iPhone screen to OSX not booting - we've got your covered! *Please not that while we are very good at what we do, repair or replacement of any componats may void your warranty. Always check your warranty terms before having any repairs done. If your computer is getting well used, its probably full of dust and may have some minor hardware issues. This can lead to big problems so don't leave it till it breaks, get it serviced today! We can clean it out and give it a good once over to make sure everything is in tip top condition. *Only applies when the hardware service is carried out at the same time as the repairs. Apple desktops & laptops are not included in this price. It can be very stressful when your computer stops working, especially when you have important data stored. 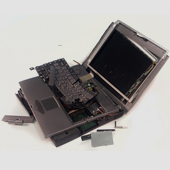 We can recover data from your laptop, desktop or external hard drive when it is no longer working. Whatever the reason, all is usually not lost, and this service usually comes free when combined with a reinstall or hard drive replacement, so give us a call today to book your repair. We can restore your data to CD's, DVD's, External Hard Disks, USB Memory Sticks or even another laptop, desktop or mac. Just Ask! Although some people like the freedom and mobility of a laptop computer, there are advantages of having a desktop, and one major advantage is the ability to pick and choose what goes inside it. 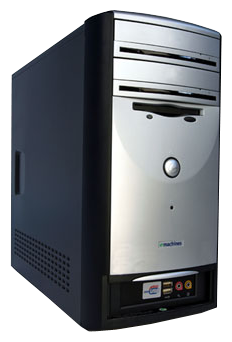 Here at Aardvark Computers we have over 16 years experience building custom specification computers and can taylor your PC to your needs. It means you wont be paying for the added extras you don't need and can usually save money over the shop bought equivalent.